A kitchen for today and all your tomorrows, Warsaw brings together the genuine elements of pragmatism with quintessential design. 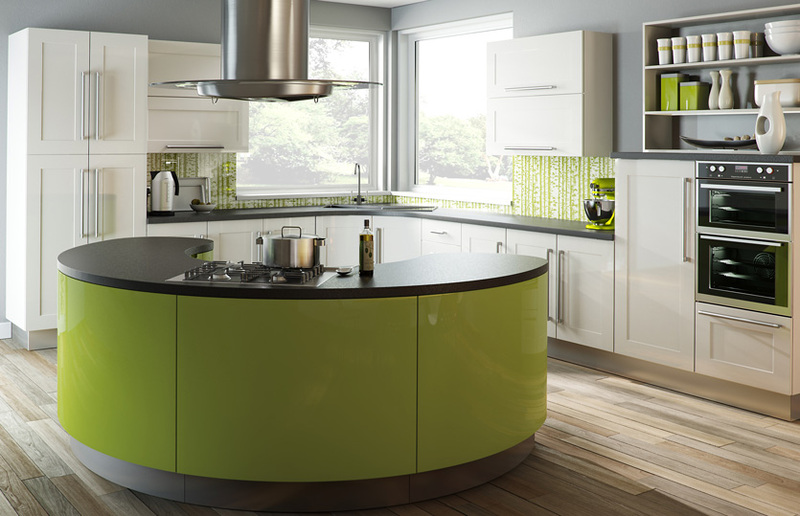 Angular functional cabinets in Hornschurch White are combined with the stunning arched island in Gloss Lime Green; making this kitchen the epi-centre of style and functional flair. Choose a kitchen door or drawer size and the price will appear below. You can even work out the price for custom sized kitchen door and drawer fronts. Shaker Warsaw design kitchen doors in Hornschurch White start at just £16.82 each. With their many years of experience Homestyle always recommend receiving a quotation before placing an order. Click the button to complete a Quotation Request Form. As you can imagine it would be impossible to completely capture the colour, quality and texture of any particular finish on a website. The finishes on this website should be only be used as a guide, especially as colours can be rendered differently depending on the type of monitor. For this reason Homestyle happily post free samples of the actual material that is used to make kitchen doors, drawer fronts and accessories. Click the button to request a free large sample swatch of Hornschurch White. Sample doors are a great way to ensure you know exactly how your new kitchen will look. Web based images sometimes do not give a completely accurate portrayal of the door, so once you have decided on the door design and finish you like, it's a good idea to order that sample. Homestyle charge just £12.00 £5.99 inc P+P. for a full sized sample door. We will refund the cost of up to three sample doors when they are returned. Click the button to purchase a Sample Shaker Warsaw design door in the Hornschurch White finish. The Shaker Warsaw design is also available in ALL non-gloss finishes. 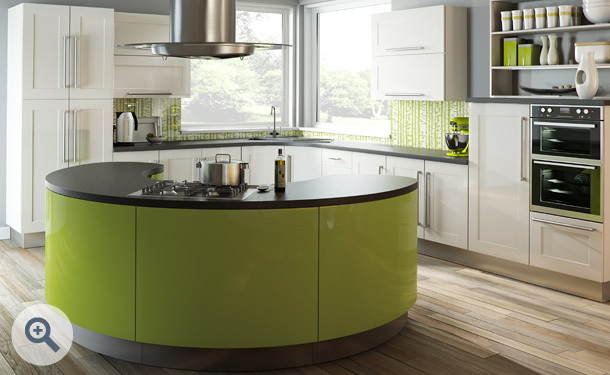 The Shaker Warsaw design is also available in ALL high gloss finishes. Click the button to view the complete range of finishes and colours. Please Note: The Shaker Warsaw design is not available in any high gloss finishes. We are committed to offering the best range of replacement kitchen and wardrobe doors at the very best price. Our promise to you is that if you find the same kitchen door or wardrobe door on offer at a lower price at one of our competitors, we’ll beat that price by 5%.